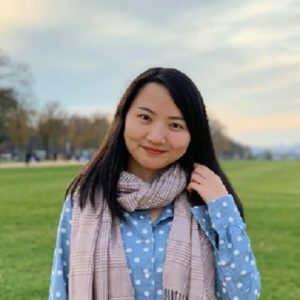 Her interest in QA led Zhu, who holds a bachelor of engineering degree from the University of Science and Technology of China, to Chandan Reddy who is now her advisor at the Discovery Analytics Center’s National Capital Region location. “Currently I am working on QA models with clinical notes as context. Clinical notes are a huge treasure of information if you make good use of them. They can help doctors make better medical decisions for their patients and help patients better understand their healthcare conditions,” Zhu said. For example, she said, when deciding how to treat a new patient, a doctor might ask “How does rheumatic fever affect the heart when the patient is pregnant?” But, reviewing all the clinical notes in the database is impossible and a search engine cannot deal with this kind of query very well. The AI-based Question Answering system that Zhu is working on can help by reading and comprehending the whole corpus, retrieving the most relevant articles or notes when given a human question, and selecting the most precise answers from them. Zhu said she also likes the “city life” afforded by DAC’s northern Virginia location. In her free time she also enjoys cooking Chinese food, baking, and taking car trips with friends to visit places like Luray Caverns, Atlantic City, and New York City. She is projected to earn her Ph.D. in computer science in May 2022 and plans to seek a position in academia. After graduating with a bachelor’s degree in computer science from Webster University, Khoa Doan entered the workforce. For the next few years, he held positions as a software developer and data engineer in the advertising industry and at NASA and gained experience processing large datasets. 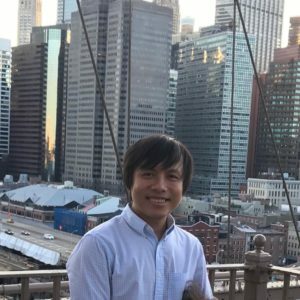 Doan’s main research interest is in scalable machine learning and data mining. His current focus is on deep hashing for similarity search, using neural networks as a basis for efficiently “searching” for similar items in very large databases. For example, he searches for similar documents in news articles, books or papers, and images. 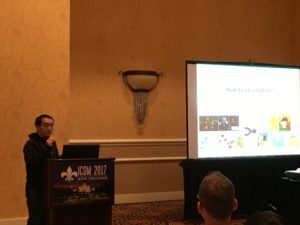 “This problem is very hard because we have to pay attention to both efficiency — how to retrieve the items fast, and sometimes in real-time — and effectiveness,” said Doan. “Items can be similar because of similar words, but also because of similar authors, or similar topics, thus it is very difficult to choose the right concept to describe similarity and convert these informal concepts into mathematical equations.” Doan is also working with his advisor, Chandan Reddy, on research with Criteo, a leading advertising company that has made a significant investment in machine learning. “Having worked in the advertising industry, solving computational problems in this field is of interest to me, as well, and is a great opportunity,” Doan said. 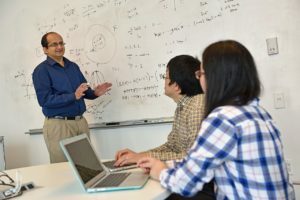 Congratulations to Chandan Reddy, our new DAC faculty member and associate professor of computer science for receiving an award from the National Science Foundation for his project EAGER: An Integrated Predictive Modeling Framework for Crowdfunding Environments. EAGER aims to study data analytics tools for improving crowdfunding project success rate. Crowdfunding provides seed capital for start-up companies, creating job opportunities and reviving lost business ventures. In spite of the widespread popularity and innovativeness in the concept of crowdfunding, however, many projects are still not able to succeed. A deeper understanding of the factors affecting investment decisions will not only give better success rate to the future projects but will also provide appropriate guidelines for project creators who will be seeking funding. Click here to read more about Chandan’s project.